The InterRail Pass has always been the perfect companion to anyone exploring Europe as it provides a fun and economical way to see all that Europe has to offer. On selected routes you can get a 50% discount in the normal ticket price. Please Note: Many High-Speed trains (like the TGV or AVE trains) and Overnight Sleeper train can be used, but you will have to pay additional 'pass holder supplements' for seat / sleeper berth reservations on them. The InterRail pass is also valid on the ferry between Italy and Greece operated by Attica Group. Please note that the InterRail Pass is not valid to be used in the passholder's country of residence. You must be able to prove that you are normally a resident in one of the aforementioned European countries, and have been for a period of at least 6 months preceeding the first day of the validity of the pass. If you have not been normally resident within Europe for the last 6 consecutive months then you would need to purchase the Eurail pass. What are the benefits in purchasing an InterRail pass? The InterRail pass provides incredible value for money and unrivalled level of flexibility and choice when exploring Europe. You can just hop on and off trains as you please (though please bear in mind the need for additional seat / berth reservation supplements on certain high-speed and overnight trains) and if you decide to stay in one place longer than you anticipated then that is no problem. All that is required is that you record all of your journeys down on the travel report that is printed on your pass within the required time/ days that your pass is valid from and to. Other pass benefits include discounts on certain ferries, entitlement to pass-holder fares on the Eurostar services, discounts in some European hotels and hostels, museums and other local transportation. Am I entitled to a discount if I am a student or a senior? Yes, if you are a Youth (aged between 12 and 25 years on the date that your pass starts) or a Senior (aged 60 years or older on the date that your pass starts) then you can benefit from either the Youth InterRail Pass or the Senior InterRail Pass. Please note that the Senior Pass is only available on the Global pass and not the One Country. Can children travel with an InterRail pass? Children from the age of 4 years up to and including 11 years are entitled to a 50% discount off the Adult (over 26 years) InterRail pass price. Children under 4 years are entitled to travel for free (but they will not be automatically entitled to a Seat - especially on busy trains - so be prepared that children under 4 years without a Pass may have to travel on an Adult's lap in some cases). Do all trains and stations within Europe offer disabled facilities? The standard of disabled facilities on trains and at stations around Europe can vary. In general, most major city stations do offer full wheelchair access. If notified in advance the train company and station staff can assist with helping you on and off of the trains. Most modern, high speed trains do usually have allocated spaces for wheelchair users (plus a companion) close to accessible restroom facilities. These spaces are limited per train so it is recommended that you book these well in advance of your travel. The number of days on which you can travel depends on whether it is a Flexi Pass or a Continuous Pass. InterRail Global Passes valid for 15 days, 22 days or 1 month are Continuous Passes. InterRail Global passes valid for 5 or 10 days within a longer period of time are Flexi Passes. Flexi Passes can only be used for a certain number of travel days within a set period. If you have a Flexi Pass, a travel calendar will be included with your ticket. Continuous Passes can be used on unlimited valid services (every day) during the period in which the pass is valid. When travelling with the Flexi Pass it is important that you record the date of each day that you use it on, in the travel calendar boxes (printed on the pass). You must write in ink and it is imperative to do this before boarding each train. Not doing so is the same as travelling without a ticket, which means that you risk a hefty fine. The month should be written below the day but be careful in filling this in as if you make a mistake that you cannot correct then the guard could interpret that as fraud. If you do make a mistake then you should enter the date correctly in the next travel day box and consequently lose a travel day. On special trains, such as many high-speed trains and overnight services, you will have to pay a supplement for a seat or sleeping berth reservation. Some normal Inter-City trains in Italy are also considered high speed trains, and you may have to pay a supplement. To travel by TGV in France for example, you only have to pay the reservation fee, which costs Approx. €5-10 (for a Seat). TGV (France), Italian Eurostar and Inter City (Italy), Thalys (Belgium, Netherlands), Rail Jet (Central & Eastern Europe), Inter City (IC) and Euro City (EC) trains (everywhere, except within Belgium, Netherlands and Luxembourg), AVE (Spain). Inter City (IC) and Inter City Express (ICE) trains involving a German Station do not require a seat reservation as mandatory, but it is always recommended, as these routes do get very busy, and you could end up travelling standing for long journeys. The principle cross-Europe overnight trains are the City Night Line (CNL) and Euro Night (EN) services; they usually have a combination of 2nd Class Seats, 4 / 6 Berth Couchettes and Double / Single Sleepers (note: not all trains have all levels of accommodation). Other overnight trains of note include the Trenhotel from Paris to Madrid / Barcelona / Lisbon; these have Seats, 4 Berth Couchettes and Double / Single Sleepers. There are also many domestic overnight trains, with varying levels of accommodation in places like France, Italy and Scandinavia. You can either book your seat or sleeper reservations in advance with us or locally at the station. Please be aware that on some train types (e.g. TGV) there are limited numbers of Pass holder Seats available on each individual service, so advance purchase (whether through us, or once in the country of travel) is recommended; especially in peak travel seasons (i.e. Easter and Summer Holidays). If you wish to book reservations with us in advance then all we will need to know is the date of travel, approximate times, whether you would like a seat or a sleeper compartment (if travelling overnight), how many people travelling and the train number if known. Then we can give you a quote based on that information; please be aware that there will be a small booking fee added for doing this on your behalf, and as most seat reservations can only be issued as paper tickets, there will also be a postage fee to deliver them safely to you. The cost of a seat reservation depends on the type of train and the level of comfort that you require. 2nd class seat reservations on domestic trains are usually between £5.00-10.00(GBP). International journeys on trains can be more expensive, for example Thalys or TGV trains, where supplements can range from around £20-60(GBP) per pass-holder. Supplements for night trains can range from £5.00(GBP) for a seat to over £80.00(GBP) for a private sleeping cabin. Can I travel overnight on a train using my InterRail pass? Single Sleeper Cabins (and Double Deluxe Cabins) - These are generally only available with a 1st class InterRail pass and are for the sole use of 1 person only. Some do come with private toilet and shower facilities but others will have shared facilities located within the sleeper coach. Double Sleeper Cabins - These are ideal for 2 people travelling together and have shared facilities located within the sleeper coach. On City Night Line and Euro Night trains - you now only need a 2nd Class Pass to travel in these. Three berth sleeper cabins (or T3 Sleepers) -These cabins offer three bunks for 3 people and have shared facilities located within the sleeper coach. 4 berth sleeper cabins - These cabins offer four bunks for 4 people and have shared facilities located within the sleeper coach. 6 berth sleeper cabins - These cabins offer six bunks for 6 people and have shared facilities located within the sleeper coach. Seat - Seats are not available on ALL overnight trains and can be uncomfortable but offer an inexpensive way to travel on long distance trains. Is the Eurostar included in my InterRail pass? Unfortunately not: Journeys with Eurostar (from and to London) are not included in the InterRail Global / Flexi pass. You can get a Pass-holder fare if your InterRail Global / Flexi pass is valid in either the country of departure or the country of arrival. Note: if you travel only between Brussels and Lille, you can buy a ticket for the TGV-fare: approximately £5.00(GBP). How much luggage can I take on board the train? Most major railway stations have luggage carts, left luggage offices or coin operated lockers for storage of your luggage. Aboard the train, luggage racks are found above the seats or at the end of the car, but do keep an eye on your luggage as the railway company will not be held responsible for lost or stolen bags. It is also recommended that you label all of your luggage clearly before you travel. There are no weight restrictions on any one piece of luggage and passengers can generally bring 2 bags/suitcases on board, plus 1 piece of hand luggage. Spaces for larger pieces of luggage such as bike bags, skis, collapsible push chairs and surf boards etc can be found at the end of each car on many services. Will there be food on board? Many long distance trains have full service restaurant cars offering breakfast, lunch and dinner but this will vary between services. Buffet and bar cars, found on most High-Speed, middle distance and overnight trains, sell light meals throughout the trip and vendors with food trolleys often pass through the train selling beverages and snacks. We recommend that you enquire at the station before you board to find out if these services are available and if not then you can stock up on snacks and beverages before you depart. What details do I need to purchase an InterRail pass from you? To purchase an InterRail pass from us you will need to have your passport number and date of birth handy at the time of your order. Once you have placed the order via our website we do aim to ship all tickets and passes out via next day delivery (if the order is placed before 15:00 GMT, we aim to get all orders to UK address out the same day - with Royal Mail's Special Delivery service, that guarantees next working day delivery within the UK). How will my pass be delivered? If the delivery address that you provide is within the UK then your pass will be sent out via Royal Mail Special Delivery™ Next Day (Excluding weekends and bank holidays). In order to benefit from Royal Mail Special Delivery™ you will need to place your order via our website before 3pm Monday to Thursday. Any orders placed after 3pm or on a Friday will not reach you until the following business day. If your delivery address is outside of the UK then your pass will be shipped via DHL and depending on where you are in the world the delivery times vary from 2-6 business days. All UK and overseas shipments will require a signature on arrival, so please make sure that there is someone at the address you give to sign for your pass. If the postman or delivery driver calls at your address and no one is there to sign for the shipment then they will leave a card to say they have called with their contact details on. It is then your responsibility to contact the appropriate delivery office and arrange a re-delivery or collection in person. 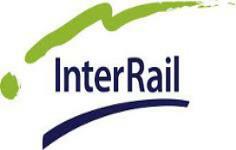 Please note that you cannot collect your InterRail pass from a station if you order via our site. I have received my InterRail pass but some of the details on it are incorrect, what should I do? Once you have received your pass we do recommend that you check all documentation carefully. If you find that any of your information is incorrect then please contact us within 48 hours of receiving it, so that we can sort out any problems before you depart for your travel. Please Note: if details (such as the spelling of your name, the date of birth or your passport number) on the issued Pass are incorrect because you entered them incorrectly when booking, there will be a charged levied by InterRail, and a small administration fee from International Rail, to cancel and re-issue the pass correctly. I can no longer use my pass and would like a refund, how do I go about this? We can offer refunds on passes as long as the start date has not passed. Refunds before the start date can be issued minus a cancellation and administration fee, please contact us or further details. Unfortunately we cannot offer refunds on passes after the start date.